Celebrate St. Patrick's Day with Dublin's Celtic Cocktail Trail - Ohio. Find It Here. On St. Patrick’s Day, everyone is Irish – but not everyone can make it all the way to Ireland to celebrate and imbibe! Thankfully, the luck of the Irish is on your side, as the next best thing is right here in Central Ohio. Instead of Dublin, Ireland, plan a visit to Dublin, Ohio this St. Patrick’s Day – you’re bound to encounter a bounty of Irish flags, bagpipes and kilt-clad party-goers on the “greenest and grandest day of the year.” To learn more about the day’s offerings and fun, visit the new online program here. 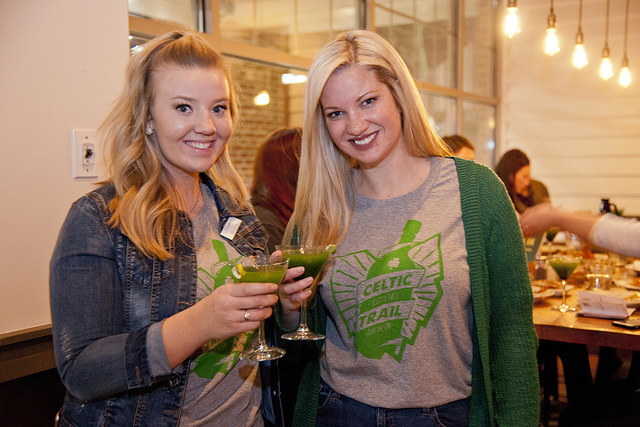 In step with great beer tourism programs in other Ohio cities (such as the Columbus Ale Trail and Cleveland Brewery Passport), the Celtic Cocktail Trail showcases the best of Dublin, Ohio bars and restaurants. Instead of just beer, you’ll also be imbibing in some of the finest cocktails made with special Irish flair! To join in on the fun, stop in at the downtown Dublin Visitor & Information Center to pick up a guidebook or download and print it at home here. Much like a real passport, you’ll get a stamp for every place you visit, but instead of countries, you’ll be getting stamps at Dublin pubs. 5+ stamps equal a special commemorative drink koozie and visit all 14 pubs to get an exclusive Celtic Cocktail t-shirt. 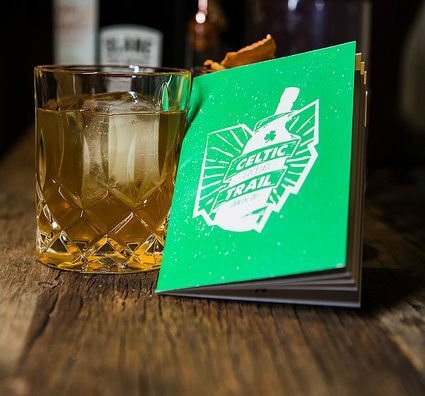 Aside from all the prizes on the line, one of the coolest things about the Celtic Cocktail Trail is the chance to see new and unique places that you otherwise wouldn’t get to visit. Keep in mind that the trail is not designed to be completed in one day – drink responsibly and plan multiple visits to town so you can get all your stamps. I took some family with me to start our adventure with the Celtic Cocktail Trail, and the locations were a blast! First on our travels was Matt the Miller’s Tavern, a favorite spot. Here, the special cocktail that’ll get you the coveted stamp for your guidebook is the Irish Maid Cocktail – made with Jameson Irish Whiskey, St. German, cucumbers, lemon juice, and simple syrup. This is a great first stop on your Celtic Cocktail journey – fill up on great Irish grub, including flatbreads, steaks and seafood. This year, try their Sunday brunch! Our next stop was the VASO Rooftop Lounge, a spot that recently created quite a buzz with their unique winter igloo bars. To get your stamp, order the Irish Tricolour, a super fun and festive cocktail that resembles the Irish flag. 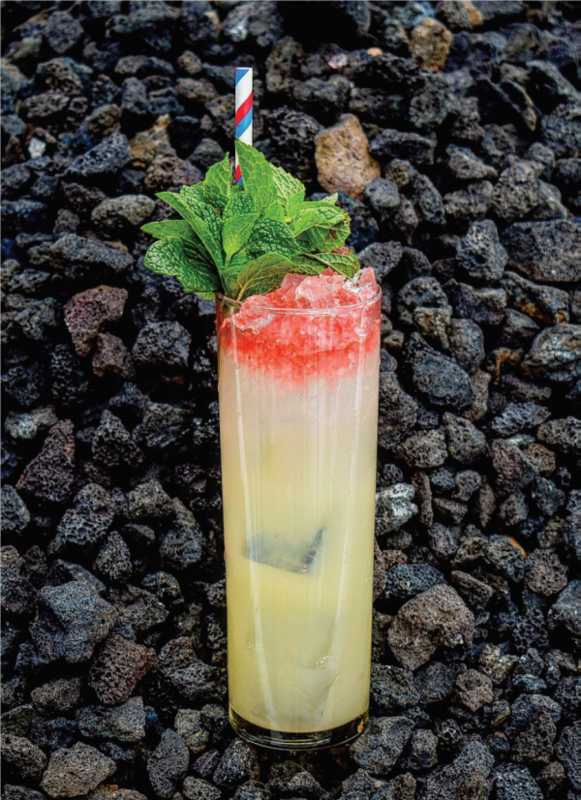 Made with Jameson Irish Whiskey, pineapple juice, lime juice, orgeat (an almond flavored syrup), and green chartreuse, it’s the perfect balance of sweet and smooth. 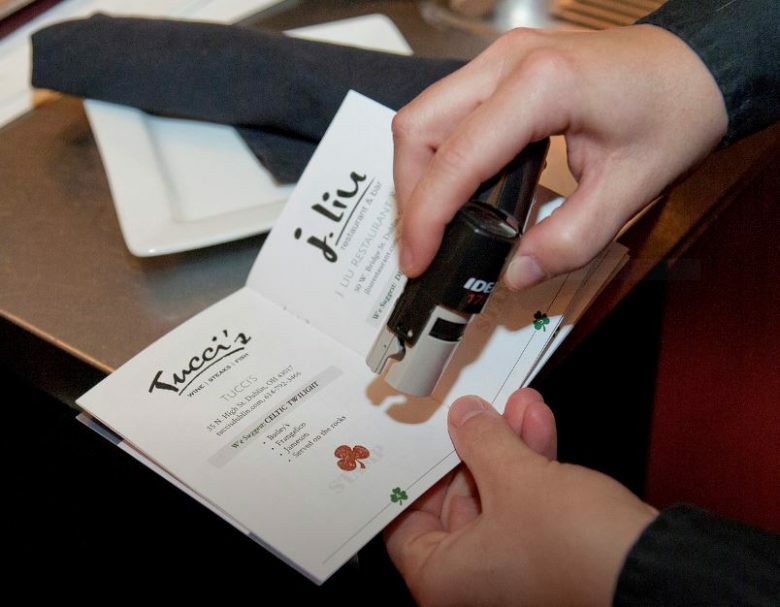 Additional stops on the Celtic Cocktail Trail include: Fado Pub & Kitchen, Hen Quarter, 101 Beer Kitchen, Ram Restaurant & Brewery, Mezzo, the Pint Room, Tucci’s, Vine & Tap, J. Liu, Dublin Village Tavern, Revelry Tavern, and the Bogey Inn. 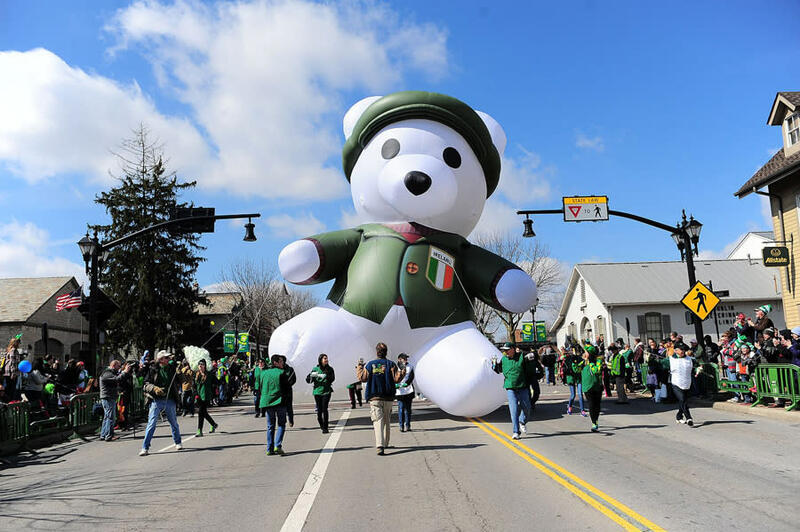 The celebration never ends in Dublin, so be sure to venture out of the pub and grab a curbside spot to view the bands, dancers, inflatables, and candy-throwers in Dublin’s annual St. Patrick’s Day Parade on Bridge Street (Saturday, March 16 from 11:00AM to 1:00PM). Find a full schedule of Dublin’s St. Patrick’s Day festivities here. For more celebration and fun, Find It Here. at Ohio.org.